Akwa Ibom State Governor Udom Emmanuel is to address the Commonwealth Business Forum in London, next month, April, 2018. The Commissioner for Information and Strategy, Mr. Charles Udoh, disclosed this early today while appearing as Guest on a Planet 101.1 FM Live interactive programme, “Akwa Ibom Mandate”. 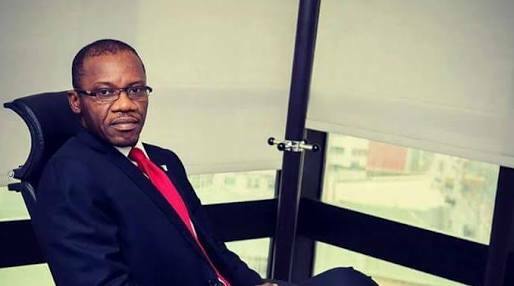 Charles Udoh, this great invitation to Governor Emmanuel by the Commonwealth Business Forum is a pointer to the wide global acceptance and acknowledgement of the Governor as a trustworthy leader of integrity and transparency whose performance has received national and international acclaim. The Information Commissioner emphasized that, having reached the top echelon of the banking industry in one of the “A” list highbrow banks in Nigeria while under 30 years of age, before being called upon to serve his people as Governor, Mr. Udom Emmanuel towers high as a reputable brand in business development and management, adding that this quality is the defining factor for the invitation by Commonwealth Business Forum for his qualitative governance of Akwa Ibom State. Udoh said, with companies like the Syringe, Electric Metering, Pencils and Toothpicks as well as the upcoming Plastic, Coconut Refinery and Flour mills, the people of the State are open to a wide range of business opportunities including; Operators of machines, Supplies, Distributorship, Drivers, Cleaning, Security, among others reiterating that, people living within the environ of such companies also stand to benefit from petty trading on recharge cards, water, restaurant business and even community development service of the companies. He therefore called on unemployed youths and interested members of the State to avail themselves of the new vista of business openings in the state to better their lots rather than then waste their energies and time in negative acts that are inimical to their self-development and the overall development of the state. On the just flagged-off second edition of Akwa Ibom Sports Festival, the Information Commissioner said over 20,000 youths of Primary and Secondary School level are being developed by Governor Udom Emmanuel towards building the next generation of Stars in Sports as part of his avowed commitment to make Akwa Ibom State a Leading Light in the Sports arena. Charles Udoh said, the flag-off ceremony of the Youth Sports festival has beamed Governor Udom Emmanuel to National and global search light with Five National Newspapers celebrating the Governor and the opening ceremony of the Youth Sports festival on the front pages of their Newspapers. He said to further boost sports in the state, the Governor who is very passionate about the education of Akwa Ibom people has a template in which participation in sport activities is not inimical to the academics of the students by building sports centres right in schools premises such as the West Itam Sports Centre and others still under construction across the state. The Information Commissioner said, Governor Udom Emmanuel is committed to carrying every citizen of the State along in his governance hence the setting up of the Udomcares Citizen Centre for contributions towards the development processes of the state through comments, reactions and views and called on citizens with useful information about the hoodlums posing security challenges in Etim Ekpo to report same to the citizen center between the hours of 9 am to 4pm Mondays to Fridays through sms or whatsapp on phone nos 09076173782 or email to citizen@akwaibomstate.gov.ng.